On a recent episode of Called to Coach: India Edition, we spoke with Gallup-Certified Strengths Coach Pradeep Vaishnav. Pradeep first discovered his strengths about 10 years ago. And although it’s not recommended, he retook the Clifton StrengthsFinder assessment after the release of StrengthsFinder 2.0. He immediately found out that retaking the assessment wasn’t necessary as only one of his top five strengths had changed. Pradeep said that even though there was a slight shift in his top five, his supporting strengths remained consistent. Reflecting on his top five strengths, Pradeep says he relies on his Relator and Responsibility strengths the most when he is coaching. When conducting pre-coaching interviews, he deliberately focuses the conversation on getting to know his client and making them feel comfortable. He also says he uses his Learner talents to continually broaden his coaching expertise to better serve others. 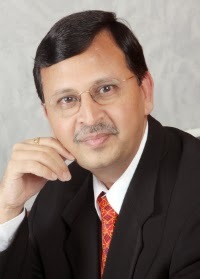 When Pradeep started his coaching practice in 2013, he focused primarily on executive coaching. Although he found success in that realm, he wanted to branch out to other areas of coaching, namely transition and “campus to corporate” coaching. Many people have a difficult time in their transition from college to the working world. Using the Clifton StrengthsFinder, Pradeep helps young professionals adapt more smoothly and quickly to their newfound corporate lifestyle. To hear more about Pradeep and his coaching experiences and expertise, watch the full video above. Pradeep has more than 30 years of professional experience dealing with people. He is currently practicing as an executive coach and independent corporate adviser, holds a master’s of social science degree and is a Gallup-Certified Strengths Coach. He currently works with some of the first-generation entrepreneurs in helping them to prepare for future growth. Pradeep’s top five strengths: Relator | Responsibility | Ideation | Learner | Empathy.